Your home won’t cool down. One of the clearest signs that you need air conditioning maintenance is if the unit isn’t doing its job. Hold your hand to one of your air conditioning vents and, if the air is warm or seems less cool than it used to be, you should schedule an appointment with an HVAC technician right away. There are also less obvious signs that you need AC repair. 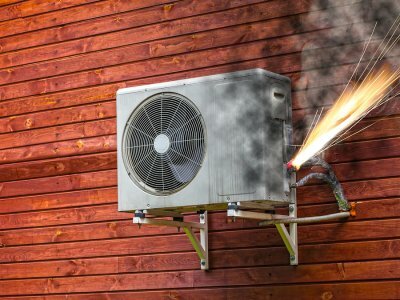 If your home remains cool enough for you to feel comfortable, you may not realize that something is wrong with your air conditioner until you receive a high energy bill at the end of the month. When your AC isn’t functioning optimally, it may still cool your home, but it will need to run longer and more often to do so. If your air conditioning seems to run more often than it used to, call an HVAC expert to schedule an inspection. Your home is unevenly cooled. A properly set up and functioning HVAC system should cool your home consistently and evenly. If you find that some of your rooms feel too hot or too cold, then there may be a problem with your ductwork. This can be caused by an accumulation of debris in your ducts or vents or leaky ductwork that is allowing your cooled air to escape. Your AC’s air flow is weak. Your air conditioning unit relies on a fan to push cool air into your home. If your notice that the airflow from your vents seems low, first check your air registers to ensure that they are open. Next, ensure that your air filters are clean and unclogged. If your airflow still seems weak, then there may be an issue with the fans that requires repair. If it’s been a while since your air ducts were last maintained, then you may benefit from duct cleaning in Murfreesboro . One of the simplest ways to determine if you should schedule air duct cleaning is to remove one of your air vents and use a camera phone to take a picture of the ductwork. Watch this video to learn more about cleaning air ducts. 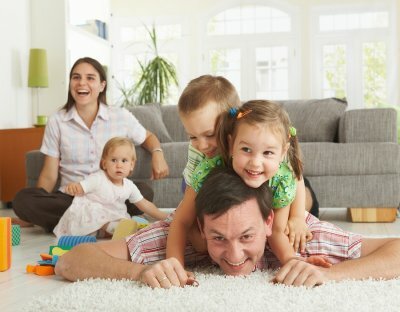 While there’s no research to show that regular duct cleaning improves indoor air quality, some consumers have claimed to experience a reduction in their allergy symptoms and cleaner air afterward. Ductwork cleaning is intended to remove airborne debris from duct system components of HVAC units, gravity heaters, and other related systems. Your heating, ventilation, and air conditioning (HVAC) unit plays a major role in maintaining the comfort of your home. If you are interested in new AC installation near Murfreesboro , you may be curious about the way air conditioning works. Understanding the cooling process can help you feel more confident about selecting a new air conditioner and investing in air conditioning maintenance over the years. Air conditioners use a three-part system. Your air conditioner consists of three major components: a compressor, a condenser coil, and an evaporator coil. The compressor and condenser coil are housed in the part of your air conditioner that you see outside your home. 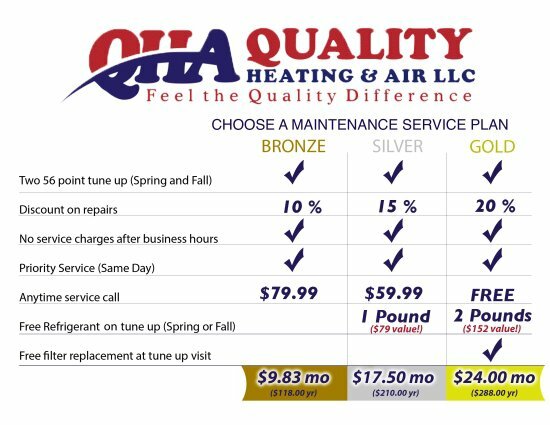 The evaporator coil is located in the other section of the AC unit, which is located inside of your house. Air conditioners cool air using evaporation. The AC part of your HVAC system cools your home in the same way that your refrigerator keeps your food cold, except that it functions for a larger, less-insulated space. The basic concept that supports any air conditioner is evaporation. After stepping out of a swimming pool, you may notice that your skin feels cool. This is because the liquid on your skin is evaporating and pulling heat from your body. Air conditioners contain a liquid that evaporates at a low temperature, called a refrigerant. Air conditioners circulate and compress refrigerant. First, the refrigerant liquid is pushed through the evaporator coil inside of your house. As it moves through the metal coil, it evaporates and makes the coil extremely cold. Next, a fan blows air across the cold evaporator coil, sending cooled air through your ductwork and into your home. As the refrigerant evaporates, it changes into a gas. This gas then travels to the compressor which applies pressure to convert it back into a liquid. This process produces a significant amount a heat, which is where the condenser coil comes into play. The heated refrigerant moves through the condenser coil, and a fan blows air over it to push it outside of the external unit. Finally, the refrigerant returns to the evaporator coil to begin the cycle again.